Things are becoming more interesting in the upcoming Hideo Kojima's "Death Stranding". Mads Mikkelsen recently retweeted an article suggesting Stefanie Joosten's involvement as one of the characters in the said game. In a recent report by Gaming Bolt, rumors about Joosten's involvement in the project is going around the internet for some time now. 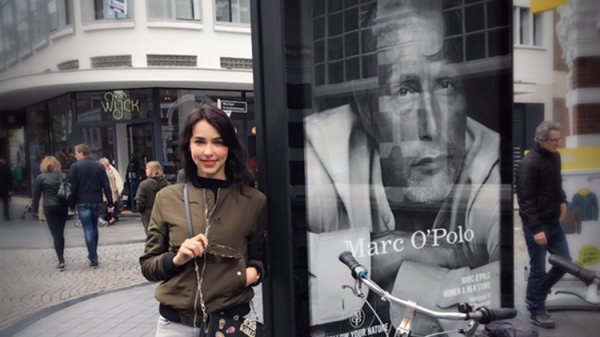 The actress who portrayed Quiet in "Metal Gear Solid 5: The Phantom Pain" has reportedly tweeted a picture of herself standing next to a poster of Mads Mikkelsen who plays a key role in the game. For some fans, the said gesture also hints that she might be involved in the said project after all. This time, another clue suggesting her casting broke on the internet. According to the report, Mikkelsen recently retweeted an article from website that discussed about Joosten's previously mentioned tweet. It even made fans more curious when the tweet was deleted shortly after from Mikkelsen's account. While it does not confirm Joosten's involvement in the said project, it looks like both of them are teasing fans of the upcoming video game, "Death Stranding". Some fans assume that both of them are just waiting for Hideo Kojima's go signal to tell their fans of their involvement in the said project. If there is a timeline for that, the best time perhaps would be at the upcoming E3 in June. Sony Interactive Entertainment's PlayStation E3 Media Showcase in 2017 will start on June 12, Monday, at 6:00 p.m. PDT or 9:00 p.m. EST. According to Telegraph, Hideo Kojima's "Death Stranding" is among the already guaranteed titles that will be featured at Sony's E3 2017. "Death Stranding" is developed by Kojima Productions for PS4. But rumor has it that it may also arrive to PC later.